When is the India vs West Indies 5th ODI match? The India vs West Indies 5th ODI match will be played on November 1 (Thursday). Where is the India vs West Indies 5th ODI match being played? The India vs West Indies 5th ODI match is being played at the Greenfield International Stadium in Thiruvananthapuram. What time will the India vs West Indies 5th ODI match begin? The India vs West Indies 5th ODI match will begin at 01:30 PM IST. The Toss will occur at 01:00 PM IST. Where can you watch the India vs West Indies 5th ODI match on TV? You can watch the India vs West Indies 5th ODI match on the Star Sports network namely Star Sports 1 and Star Sports 1 HD. 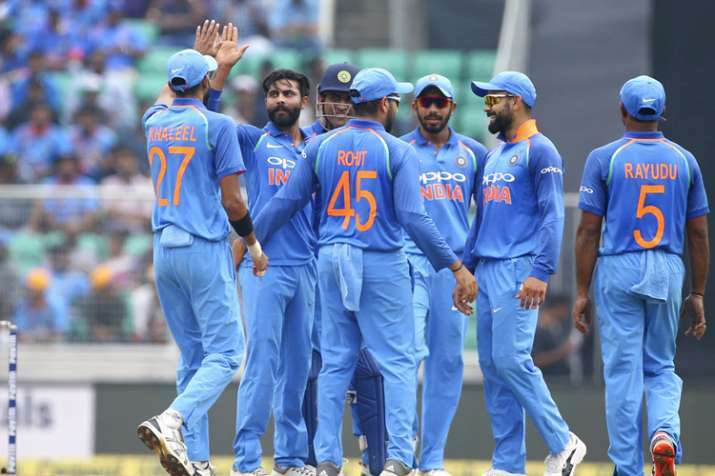 Where can you watch the India vs West Indies 5th ODI match Live Streaming Online? You can watch the India vs West Indies 5th ODI match Live Streaming Online on Hotstar. What are the squads for the India vs West Indies 5th ODI match?